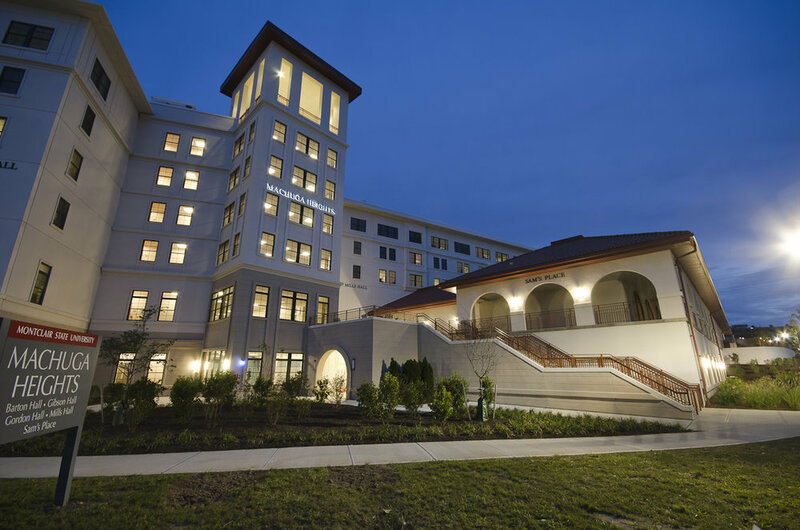 PS&S was the A/E-of-Record for this 2,000-bed student housing project, working directly for Capstone Development, the lead firm in what was the first P-3 development in the State of New Jersey, and one of the largest ever accomplished in the Nation. PS&S was called upon to provide Design Development, Construction Documentation and Construction Administration for a 567,000 sf, $140 million project, which also included a full-service 600-seat cafeteria. To meet contract deadlines, PS&S would need to design/permit/administer/punchlist in 20 months or less. Working with Capstone’s Design Architect and Civil Engineer, PS&S had to develop a workable plan for a site that was literally all rock with very steep topography. The major challenge was developing construction documents in just 14 weeks, starting with the Design Architect’s Schematic Design. PS&S also took the lead in getting construction permits from DCA, as well as designing and negotiating approvals for a 3-mile sewer improvement/extension through the City of Montclair. Using our advanced skills in BIM technology, PS&S formed an integrated architectural/engineering design team that produced a 3-D model, which included all major elements of the project, running clash detection software on the model to eliminate almost all conflicts in the drawings. Holding weekly meetings with Capstone, the CM, and major subcontractors, PS&S designed continuously to the budget, and avoided major re-work to the drawings. This process was so successful that the design was completed and permits were pulled exactly on schedule. The project is registered for LEED Certified.